Dreamworks is going big on the promotion of their new movie Horton Hears a Who. I have nine posters here for you, all courtesy of IMPA, which should be finding their way to a cinema near you someday soon. Three of these are banners, the other six character posters. They're pretty fun to look at and have that distinct style that we also saw in the earlier Dr. Seuss movies. It gives you a little bit of info on the characters you can expect to see in the movie, with a little bit of info about their personality. Judging by the posters, I think this movie could be a lot of fun, so let's hope we won't be disappointed when it comes out. Click here to see the other posters. Coming Soon has our first look at the poster for George Clooney's upcoming Leatherheads. It's a poster that grabs the attention, with Clooney not looking his usual suave moviestar self, instead opting for a black eye, looking as if he is about to rip your head off. Which is what the movie is all about, of course, since it chronicles the early days of professional football in the US, albeit with heavy comedy overtones and some romance thrown in as well. It's a movie I'm looking forward to, and with a poster like this more people will probably become intrigued. In case you are wondering what The Midnight Meat Train is supposed to be, this poster will make that clear in seconds. The movie will be all about a photographer terrorising the New York subway system, and a journalist who is trying to find out who this killer is. It's based on a Clive Barker short story and stars Bradley Cooper, Vinnie Jones and Brooke Shields. It's also supposed to be a lot more gory than this poster suggests. Cinematical has the exclusive for the poster for Jason Statham's new movie, The Bank Job. It's a stylish piece of design, and looks like the movie might be a good fit for Statham, whose career is at the moment reeling from the nightmare that is Dungeon Siege. Click to see the image in a bigger size. While you can't look at a movie site these days without stumbling over some new behind the scenes images of Batman, or some official images of the suit or the Bat-Pod, we're not seeing that much yet from The Incredible Hulk. I know that the Hulk movie still has to start shooting, but since the release dates of these two movies aren't that far apart, you'd think there would already be some images released. Well, here is the first teaser image, showing you, well practically nothing. It's The Hulk's silhouette, which might as well have been a picture from one of the comics based on the character. Well, as they say, at least it's something. The love for the upcoming Simpsons movie keeps increasing. While over a dozen cities called Springfield are battling to become known as the official Springfield and earn the right to host the world premiere of the movie, Fox also grabs some more attention for their movie with this brand new, and pretty cool poster. There are two new posters online for the upcoming third Bourne movie, and they break with the tradition of these posters showing Jason Bourne as a very composed man, instead portraying him as somebody who has a bone to pick, and who has all the power and intentions to do so. They're pretty cool, so if you are looking forward to The Bourne Ultimatum, you can do a lot worse than clicking the link. As the trailer for I Am Legend will no way make it's way to the internet pretty soon, it being attached to Ocean's 13 which premieres these days, here I already present the poster to you. It's a typical teaser poster affair, cool enough to get you interested, but not cool enough to want to go out and buy it to hang on your door. Warners is going to start the buzz on this movie this weekend, after which it will no doubt be in the news quite a lot until it's release at the end of the year. 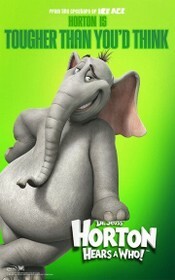 There's a trio of new Evan Almighty posters online, and all three of them are aimed at the international market (i.e. everywhere outside the US). Interestingly enough we don't see Steve Carrell in his beard and cloak look in any of these posters, just as the regular Evan we know from Bruce Almighty. I must say, this works pretty well and to very funny effect, which is just what Universal is looking for to get people lining up for their hyper expansive movie. Take a good look at this poster and wonder to yourself if it looks familiar. The answer is: yes it does, since this is exactly the same poster as the Taiwanese one released a few weeks ago, only in English. So, in case you were wondering what those characters on the Taiwanese poster said: click the thumbnail!